For our March member meeting Connie Bradshaw returns with more DNA goodness to help our research efforts. Her presentation takes a look at the different companies providing Autosomal DNA testing along with their pros and cons, what results are provided from the testing labs and what to do with your results. Connie is a 26 year U.S. Navy veteran, a member of a variety of national and local genealogical and historical societies and a well-known speaker on genetic genealogy. In addition to genealogical research, Connie advises individuals on methods of preserving their own life stories, photos and heirlooms with the Legacy Stories’ Reminiscing With Purpose program. Our March meeting will be held on Saturday, March 16th, at the Southeast Branch Library located at 6670 US 1 South, St. Augustine, FL. Check-in begins at 12:30pm with the meeting called to order at 1:00pm. Visitors are always welcome at no charge. 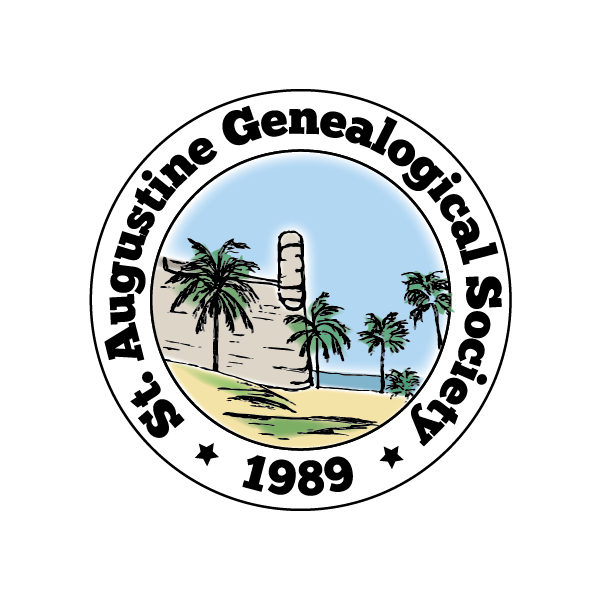 Registration is now open for the North Florida Genealogy Conference. You can register online or by mail. Cost of the conference is $25/person which includes a delicious box lunch. Visit the Conference Schedule page to select the sessions you want to attend. Submit your registration early to insure you get the sessions you want. SAGS members Paul Howes and Denise Olson are among the many presenters. You can also sign up to receive email updates about the conference. Stop by the conference site for the latest news and information. This year the North Florida Genealogical Conference falls on the same day our March meeting would be scheduled. We will not have a meeting this month, but we do encourage members to attend the conference. It takes place at the Orange Park Family History Center located at 461 Blanding Boulevard. Online registration is now closed, but you can register at the event. Cost of the conference is $20. Doors open at 8:00am with the keynote address starting at 8:45. Visit the conference site for registration details, class schedules and descriptions.